At the capitalist system’s core lies its central conflict. On one side, corporate boards of directors pursue ever more surplus extracted from productive workers. On the other side, workers seek ever more wages and benefits and better working conditions that reduce the surplus available to employers. Perpetual class conflict results between capitalists and workers over the size of that surplus. The conflict’s form varies from hidden to open and from mild to violent. Boards of directors continually find ways to reduce wages. Yet they complain when consumers whose wages fall cannot then buy all the commodities that capitalists need to sell to them. Indeed, insufficient consumption often contributes to causing or worsening a recession. The contradiction here is one that many capitalists seem unable to see, let alone trace to the class structure of capitalist production and its resulting conflict. Workers continually seek to improve their incomes, benefits, and job conditions. Yet they confront employers who respond by outsourcing jobs to cheaper or more subservient workers or by eliminating jobs through automation, even at the cost of jeopardizing commodity sales to workers, leading to or worsening recessions. The contradiction here — workers who achieve gains risk losing their jobs — underlies another of capitalism’s systemic conflicts. As discussed further below, were workers to become their own collective boards of directors, they would not likely reduce wages or outsource jobs. Workers appropriating their own surpluses would accompany automation with serious job retraining and transitional support to displaced workers — rarely done when capitalist boards of directors automate. Conflict between corporate directors and productive workers helped to produce both the wage stagnation of the last 25 years and the resulting surplus bubble that swelled and then burst in 2008. Class conflict has always contributed to capitalism’s systemic instability. 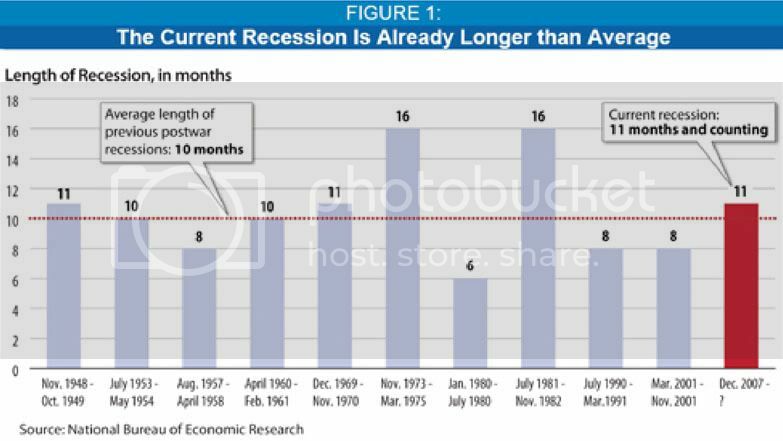 Figure 1 below, prepared by the Center on Budget and Policy Priorities, records the many post-1945 US recessions. Capitalism’s instability was a constant, even though national politics and culture changed repeatedly after 1945, as the Cold War flared and ebbed. Capitalism’s class structure kept hammering its rhythm of boom and bust cycles into our lives. It would be reasonable to identify, investigate, and publicly discuss every possible cause of such instability. The goals would be to offset, moderate, or eliminate its effects or, better yet, the instability itself. But a taboo blocks consideration of one such cause, namely capitalism’s class structure. For the last half-century, analyses and policies debated by most business, political, academic, and even labor leaders avoided connecting economic instability to capitalism’s class structure. Instead, many faulted politicians (blaming Democrats or Republicans), unions, or big business. Others focused on human weaknesses (“greed,” “irresponsible” borrowing, etc.). Still others blamed inadequate state “regulation” of private business. With most analyses blind to class structure as a cause, change in the class structure of production rarely figured in proposed solutions for capitalist instability. The policies actually debated are all variations of (1) US state responses to the 1930s Great Depression and (2) Japanese state interventions in its long post-1990 recession. Proposed state actions in today’s global recession include “bailouts” of selected industries (especially finance); (re)regulations of enterprises and markets; central bank reductions in interest rates and expansions of money supplies; and federal tax cuts and “stimulus” spending. Such interventions sometimes helped the US through past recessions. They never solved the basic problem of recurring recessions. Class struggles often provoke capitalism’s cyclical booms and busts. The more severe recessions bring state interventions and regulations to help capitalists survive capitalism’s convulsions. Once the immediate economic crisis is past, capitalists proceed to undo state interventions again. So long as capitalists appropriate surpluses, they always use them to evade, weaken, or destroy state interventions that constrain them. Meanwhile they try to keep public debate and policy away from systemic solutions to recurring recessions. Capitalism’s instability is systemic. To address it without considering systemic change is to continue the history of failure to “solve” that instability. Capitalism’s core class conflict between workers and boards of directors was never fundamentally changed by state bailouts, (re)regulations, or monetary and fiscal policies. Capitalism’s class structure is likewise not systemically changed even if we replace boards of directors privately elected by shareholders with boards of state officials instead. State capitalism (USSR), too, not just private capitalism (USA), displayed instabilities driven by class conflicts between surplus producers and appropriators. Notwithstanding differences between the instabilities of state and private capitalism, both still yielded inefficiencies and wastes that each so assiduously documented in the other. One possible systemic change eliminates capitalist class conflict by reorganizing enterprises to position productive workers as their own collective board of directors, thereby removing one key cause of capitalist instability. Such post-capitalist boards’ decisions (about technical change, capital accumulation, wages, and so forth) would differ markedly from capitalist boards’ decisions. Post-capitalist boards of directors would differ from capitalist boards in their relations to the state as well. A systemically post-capitalist economy would have its instability problems, but they too would differ from capitalism’s. The point is not that this systemic change is the only one that could (or could alone) seriously address capitalism’s instability. The goal here is to expose the widespread — and politically self-defeating — refusal, even on the left, to acknowledge such systemic causes. The center and the right will forever debate and oscillate between non-systemic causes and policies (bailouts, regulations, stimuli, etc.). The left’s unique contribution could and should be to insist that systemic solutions — e.g., changed class structure of enterprises — be part of public discussion and public policy. Rick Wolff is Professor of Economics at University of Massachusetts at Amherst. He is the author of many books and articles, including (with Stephen Resnick) Class Theory and History: Capitalism and Communism in the U.S.S.R. (Routledge, 2002) and (with Stephen Resnick) New Departures in Marxian Theory (Routledge, 2006). Be sure to check out the video of Rick Wolff’s lecture “Capitalism Hits the Fan: A Marxian View”: <vimeo.com/1962208>.